A curving road and magnificent backdrop in the Maine woods near Rockwood in this Oct. 7, 2015, file photo. 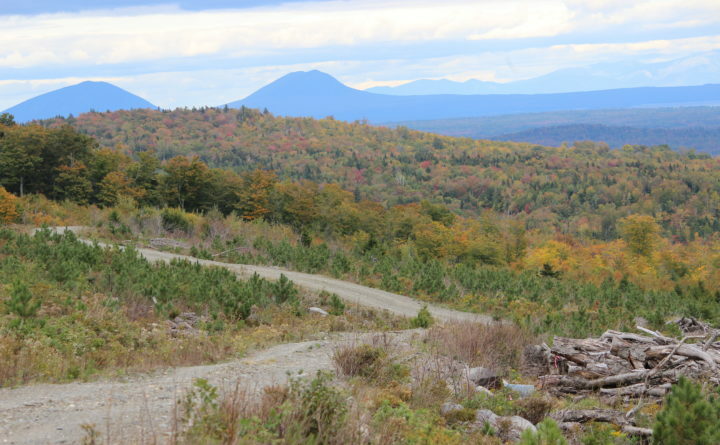 A proposal to change how development is allowed in Maine’s Unorganized Territory still is being met with some vocal opposition, despite some minor changes that a state planning body has made to the draft policy. Many of the roughly three dozen people who spoke Thursday at a public hearing on the proposed development rules opposed the concept, saying it would allow for too much development sprawl in Maine’s woods and could fragment wildlife habitat. More than 100 people attended the public hearing of the Land Use Planning Commission held in Brewer, including commission members and staff. The commission’s current “one-mile” rule, which limits such development to within 1 mile of existing similar development, does not impose any limits on how far from a nearby town such development can spread over time. As it is now, new subdivisions or commercial projects can “leapfrog” one another indefinitely, if they are approved by the commission, as long as none of them is more than a mile away by road access from the nearest similar development. Not everyone who spoke at the public hearing on the commission’s plans to change its adjacency principle voiced opposition to it, but most who did — many of whom spoke last summer at a previous public hearing on the proposal — said they continue to have concerns about how the changed rules could negatively affect Maine’s undeveloped forests. Mac Davis, a registered Maine Guide from Albany Township, said that it would be “particularly destructive” to permit large lot “trophy home” subdivisions to be developed up to 7 miles away from a retail hub community. Many also expressed concern that by allowing development miles away from struggling rural towns and plantations, the proposal could undermine economic development in those towns, several of which are losing businesses and facing shrinking school populations. “I love these northern communities. I think they need to be supported,” said Surry resident Lucy Leaf, referring to towns such as Jackman, Greenville and Millinocket that serve as service centers for many people who live, work or spend leisure time in the surrounding woods. But, she added, the best way to support such towns is to preserve the habitat and wilderness around them. Some said that the proposed change would help those rural communities and, aside from some exceptions for resource-based businesses that would need to be farther out from the designated retail hubs, would make sure development sprawl does not spread too far out from those communities over time. Greenville resident Mike Theriault, who grew up in Rockwood and runs a construction business, said the proposed policy change would help preserve remote portions of the UT and allow for economic development in and around nearby rural Maine communities. After the hearing, LUPC Executive Director Nicholas Livesay said that commission staff have been in communication with rural communities that would be affected since the policy revision process began in 2016. The public can submit comments on the proposal until Jan. 22, while the commission will accept written rebuttal to those comments until Jan. 29.